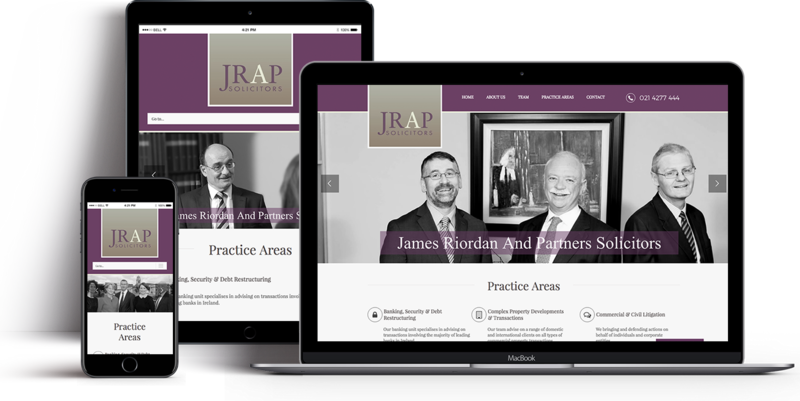 James Riordan and Partners is a corporate law firm and is one of Cork’s longest established solicitors’ firms, commencing practice in 1870. They specialise in providing a high quality, cost effective service in areas of law relevant to our corporate and private clients. The new James Riordan and Partners website is perfectly functional on Desktop, Tablet (iPad, etc) and Smart Phone (iPhone, Android, etc). The website has a more dynamic use of appropriate graphics and visuals to enhance the user experience and branding message. Features include a fully functional content management system that allow James Riordan and Partners to update and manage their website in-house.